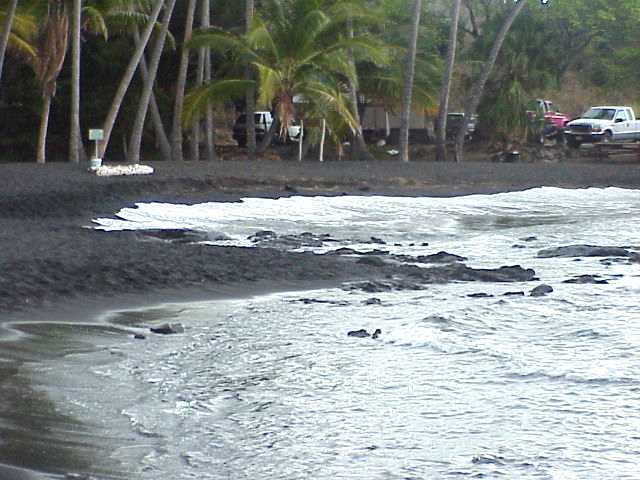 WorldTourist.com Hawaii (Big Island) South Pics! Choose other Island! 5th pic contains floating fireball! Highway 11 heads south, down the slopes of Mauna Loa. In this valley, heading toward the sea, Mauna Loa Mountain is on your right and Mauna Loa Crater is on your left. 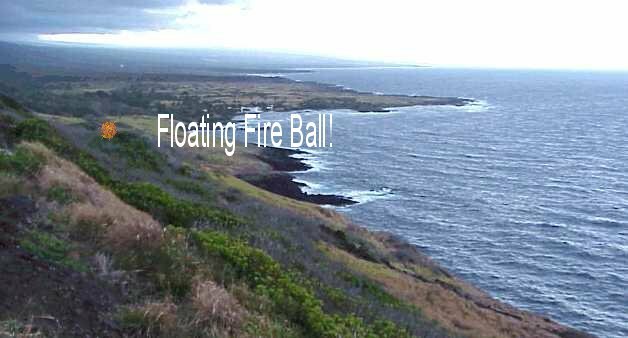 At the foot of Mauna Loa, near the sea, is the small town of Punaluu. 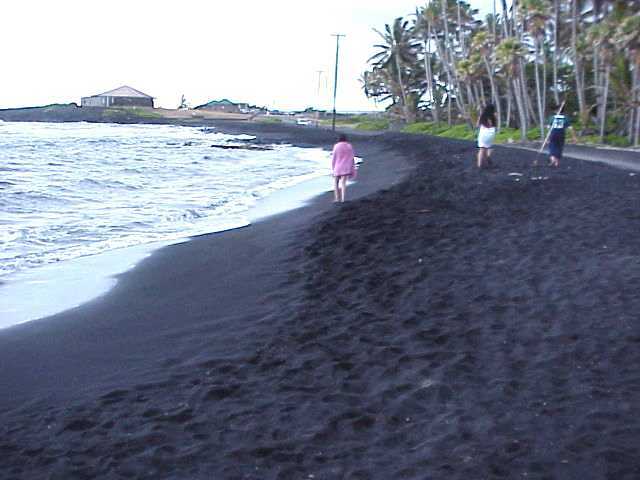 The two photos of the black sand beach above are from the Punaluu Beach Park area. 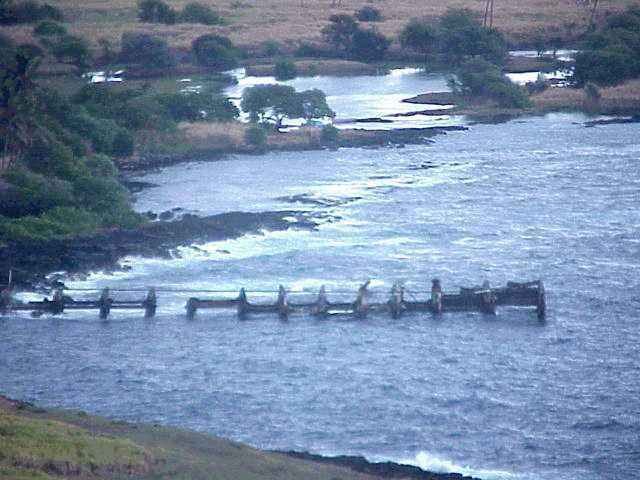 Highway 11 turns inland across the "Big Island", toward the west coast and Kona. The Mamalahoa Highway joins the west coast just past the town of Keokea and is very picturesque. 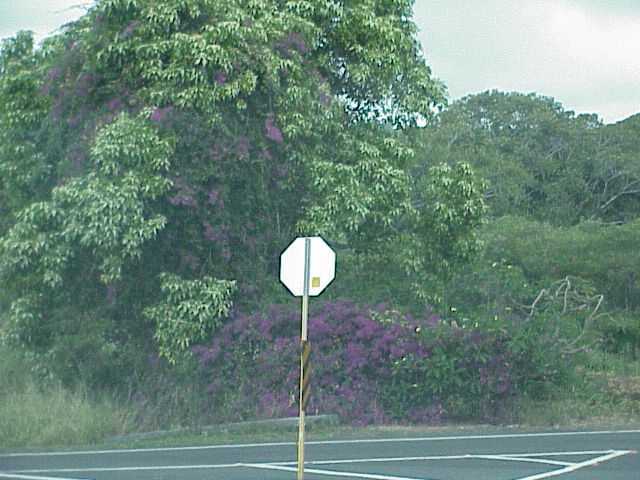 Keauhou Kona and Kailua Kona are the next two towns on Highway 11 heading toward the area of Kona. This area has interesting history and good shops.